Jody Easler is a wife and mother, who has been married to Joe since 1998 and has a son, Max, who is a Lahainaluna High School graduate. She enjoys spending time with her family, helping people, going to church, attending Bible studies, reading, and walking with friends. 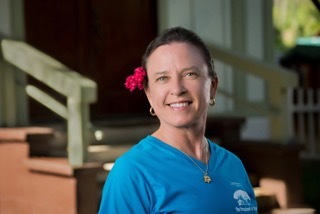 Jody has worked as a volunteer at The Preschool at Kapalua since 2004, and also volunteers at the Oasis Sunday School with the Kumulani Keiki. She loves working part-time at The Preschool at Kapalua.